NIVEA Creme is a skin cream with a rich formula that cares and protects for all skin types. The classic, preservative-free formula was created in 1911. 60mL Retailer Stockists: Woolworths, IGA, Chemist Warehouse, Priceline, Discount Department Stores & Selected Pharmacies. 150mL Retailer Stockists: Woolworths, Coles, IGA, Chemist Warehouse, Priceline, Discount Department Stores & Selected Pharmacies. This product is a saviour for me in winter. A little bit really goes a long way with this as the tiniest amount of product provides instant moisture. I use it on my face in winter because I know many people who swear by it’s anti aging solution. Last but not least, I love how compact and functionable the tin packaging is. This is my all time favourite creams from Nivea. It is very rich and thick without being greasy after application. I have dry skin and this is my go to cream in winter times. I love the light clean scent which is not ovepowering but lingers throughout the day. The slim tin fits so well in even the tiniest hand bags and that makes it so travel frIendly. I love to open a new jar to see how its filled up to the top. This is very affordable and high quality product for all types of skin. It makes skin really smooth and you will see noticeable difference after a few days. I would highly recommend this rich cream for dry hands, elbows and knees or other dry patches. With Nivea creme - I really loved the texture and smell of this cream. It applied very nicely and you don't need a lot and I felt very hydrated all night long especially with the weather cooling and the skin is getting drier. It was easy to apply as it came in a tin jar and a little bit goes a long way which means it's really good value for money in my opinion ! I personally would find it too thick for summer but for the cooler months, it is the perfect cream to apply post serum application. This cream is a classic choice and has a thick texture. I like to use this more on my body than face, concentrated usually on the knees and elbows. It's a staple piece in winter and your skins begins to shrivel. I use it on my feet almost everyday so it doesn't become dry and crack in the future. Well what can I say?! You can't beat Nivea! Nivea is such a great brand in general. Always getting more Nivea products because they actually work! It has a great thick creamy texture, but isn't too oily like some other creams. I use it night and day and any season of the year. Nivea Crème is a lovely rich and hydrating formula that helps to instantly smooth and soften rough and dry areas of my body. The consistency of the formula is fairly thick, so I prefer to apply a small amount to rough and dry areas of my skin such as my elbows, knees and the heel of my feet. The formula doesn’t leave any oily or greasy residues and absorbs nicely into the skin. The scent of the formula is not too overpowering and makes me feel soothed and relaxed. The crème is housed in a tin pan, so it’s nice and compact to pop into your travel bag when you’re on the go. Overall, Nivea Crème is a lovely body crème that helps to hydrate and nourish my skin! This is my all time favourite cream, I love it for my hands and body and keep a tin in my bag, gym bag and at work. The cream is really thick and sinks into the skin straight away without leaving a greasy film. I also love the smell, it is a nice clean scent. The packaging is really unique and is really slimline so fits easily in a bag without being really bulky. I love also how the cream is always filled to the brim of the tin, I think it is such a great bargain and will continue to buy this. My skin loves it, drinks it in and feels really soft and supple afterwards. So I have very dry, red, raw and cracked skin, and this has been a lifesaver when it comes to dryness and all that. this affordable and bang for your buck cream can be used all over the body, and restores moisture and softness to a lot of skin. It isn't overpowering in smell, and isn't too heavy on the skin but it can be a little thick. It doesn't really break out my sensitive skin which s a big thing for me. Affordable and effective. This has pride of place on my bedside table and is used by both me and my husband. I love how thick it is, it feels very moisturising and luxurious and it treats a wide variety of skin concerns. I apply it to my legs the night before I fake tan to give my skin deep hydration, I use it nightly as an intensive hand and foot cream. And I even pop some on my lips if they are feeling dry and I have no lip balm. The fragrance is so good, it’s the ultimate smell of Nivea to me. I like how you can buy it in different sizes and I hope they never stop making it. This is one of the beauty products I clearly remember my mum using when I was little. She said it is something my nan could not live without either. This cream comes in a blue pan and the cream itself is lily white and very thick. It has the typical Nivea scent but the scent is not strong. This is a good cream, but for me personally it is too thick, and it is hard to spread all over my body. Thus, I use it as a hand cream, but even then it is still too thick for my liking. This is not a product I will repurchase. Use a tiny bit of product. Anyone who likes thick creams. This versatile cream is my all-in-one product to go. I use thin on my face, hands, feet and rough areas - knees and elbows. It does not leave sticky and oily residue..just nice feeling, provided that the product is use sparingly. The thick rich cream protects my face from harsh cold wind, making it stay soft and well moisturised all day long. The one and only original product from NIVEA, hoping that this product will continue for years to come. My nan introduced this cream to me when I was little and have been using it ever since. I love how hydrating and soft my skin feels after it’s been applied. You only need a small amount, around a 10-20cent peice and massage into the skin. It’s great if you get dry patches and soaks in fairly quickly. Its also good for sensitive skin, because it has no fragrance and if it does, it’s very suttle! I also recommend to use it under lip sticks if you have dryed/ cracked lips for a smoother look. The most versatile creme, Nivea creme is definitely a family favourite. I have used it for many years and at night smother my face and neck with Nivea before bed time. Having dry skin, I love the texture and my skins feels great. Regularly use it on legs and hands as well. 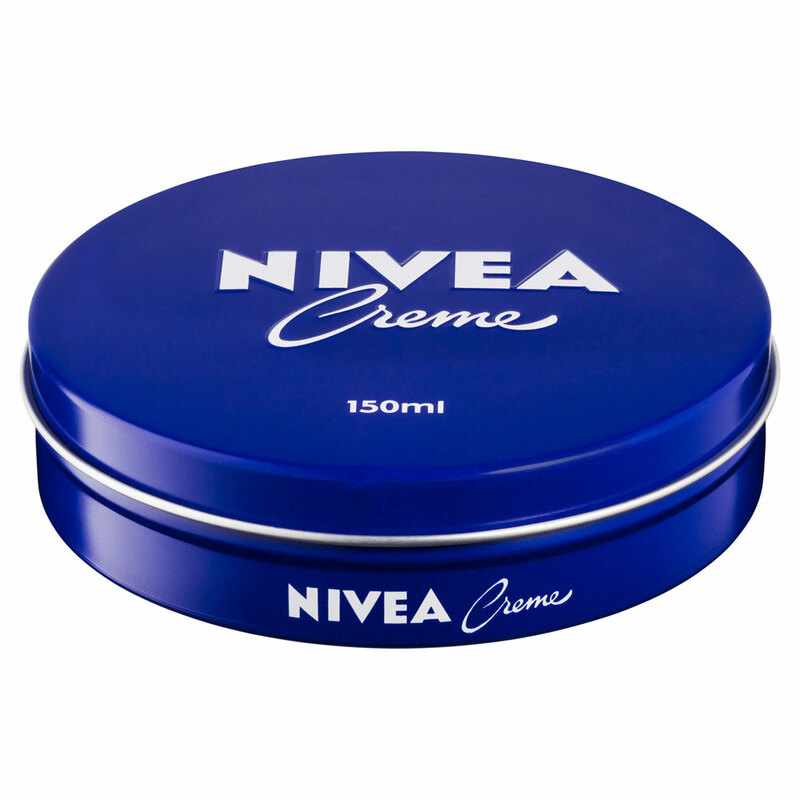 Nivea creme comes in various sized tins and at such an affordable price you can afford to buy a few to pop into handbags and schoolbags. The small tin at 30 ml is just awesome to throw in your carryon travel bag. Slather on and rub in well. Perfect for everyday use, a favourite. This is one of those creams that are like memory lanes. My mom used this for us in winters. I love everything about this. The smell and thick texture. It is not crazy thick and not very runny. I love how it comes in a round tin box although some people would not like it the reason being hygiene. I , for one , donot mind it. I have nothing bad to say about this product. Absolutely love love it. I buy this when dont really have anything specific in mind to buy. This thick and rich creme is perfect for dry skin. I use it on my face in the cooler months or when air conditioning /heating causes dry skin. It absorbs easily into my skin and I'm left feeling thoroughly moisturised. The only negative I have is that if your face is slightly wet, it is hard to rub in. Allow your skin to fully dry before applying. I also use this as a base for applying makeup around 30-45 minutes prior to makeup application. I remember my grandmother using this creme on me when I was a child so I have really find memories of it and obviously being it has been around so many years it must be good! The consistency is super thick and so luxurious and i love the smell it's a little stronger than some creams but I love it.  It melts into the skin and leaves it feeling moisturized for hours - love it! Nivea creme is a very useful product for moisturising your skin. It is especially great in winter if you have dry skin as the creme is really thick and nourishing on the skin. It has the classic nivea scent, which smells amazing and fresh. I can be used as an all over body lotion and is particularly good for sensitive skin. This creme is a good one to keep in the cupboard for those emergency dry skin days. I learned of this product when I was reading on Marilyn Monroe, no wonder she was so beautiful, this stuff reeeally loves your skin. Yes, it is extremely thick and it takes forever to absorb but wow, it makes you feel like Cleopatra and her goats milk. Like a queen. I would not recommend putting this stuff on just before you need to get dressed because you will probably stick to your clothes but I would recommend putting it on before bed and letting it soak in overnight. You wake up feeling a million dollars. Oh and it smells like a beautiful dream, if you ask me, lanolin. It must be the lanolin. Put it on before bed but let it soak in first before putting on clothes. Dry skin, but I would use it everyday, unless maybe prone to breakouts. The nivea creme is a super thick moisturiser. I use it of a night time and find in the morning my skin is soft and hydrated. The creme doesn't have an overpowering smell but it is quite different. It is very affordable and can be found in most chemists and even supermarkets. As the creme is so thick I have found it doesn't take much especially on the face. Hair and make-up tips from Hollywood's most glam grannies (plus a few from some of bh's very own)! Hot off the press: you could rub shoulders with Rihanna!